The design team behind Plezmo launched their Kickstarter campaign today and is looking to raise a total of $75K to put their product into production. 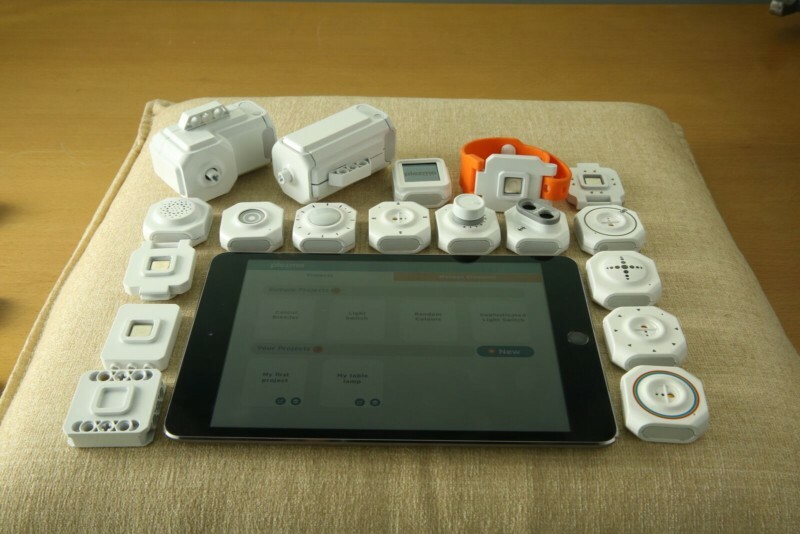 Plezmo Elements, similar to building blocks, pair wirelessly with Plezmo Apps and allow children to code things like their very own games or contraptions, make music, develop their own smart wearables and much more. Plezmo Apps will be available on iOS, Android and Chromebook and will allow kids to program their Elements wirelessly by using an easy-to-use, drag-and-drop visual programming interface. The cloud-based application provides community sharing features to Plezmo users so they can share their own projects or try interesting projects done by others. Plezmo’s built-in simulator allows kids to try their programs on screen before using the physical elements. 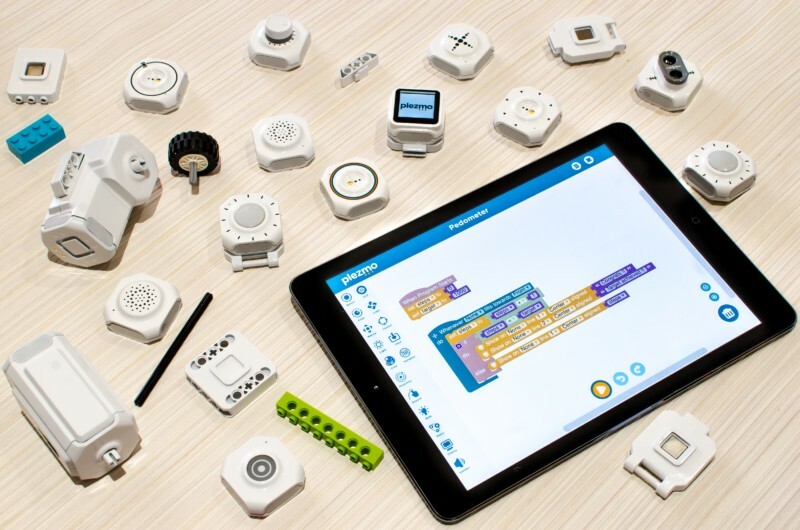 Plezmo Apps were also designed to be compatible with LEGO® Mindstorms®, LEGO® Wedo®, Sphero® elements and more all in one easy-to-use program. Plezmo will prove to be perfect for the classroom, day care, family night and even play dates. With 13 different Elements and 5 types of accessories, the possibilities for creativity are endless. Kids have the ability to code through the app and play sounds, show photos, sense tilts and movements, create moving projects and much more. Plezmo Elements are designed to work with everyday objects such as existing toys, cardboard-based creations, bags, bikes and other objects and turn them into smart objects. Plezmo Elements are also designed for hours of constant usage and require a simple recharge. Even if it’s in the airport, on the road or in a deadzone, no internet connection is required to use Plezmo. Early supporters can pre-order Plezmo packages on Kickstarter for $109, which is over 25% less than the market retail value. Packages will be available for beginner and advanced levels. For more information about Plezmo Elements and Apps, visit http://bit.ly/PlezmoKS. Plezmo Inc. is building a platform of the best possible building blocks to learn, teach and play with technology for the education and maker markets. The Plezmo team believes that cutting-edge technology should be put in the hands of children in a safe and simple way to empower them to create things that are in line with the world around them. For more information, visit http://www.plezmo.com. 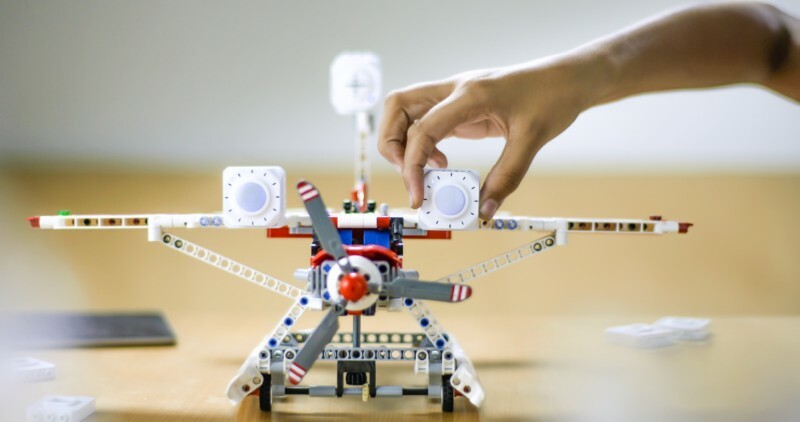 Dieser Eintrag wurde veröffentlicht in Crowdfunding, English, EV3, General, Lego Mindstorms und verschlagwortet mit Lego Mindstorms EV3, Plezmo, Wedo von Sebastian Trella. Permanenter Link zum Eintrag.